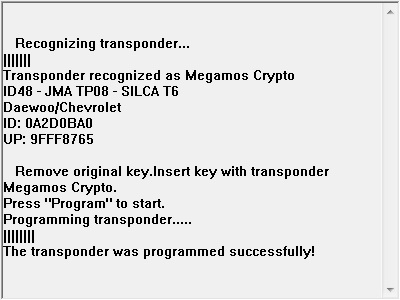 Key copier onto TS48 transponders for Daewoo, Chevrolet,KIA,Pontiac ID48 Megamos Crypto keys. This software module helps you to copy Daewoo and KIA ID48 keys. Software writes on TS48 transponders.